Shrouded in secrecy, the Special Air Service is the world’s finest of all Special Forces. 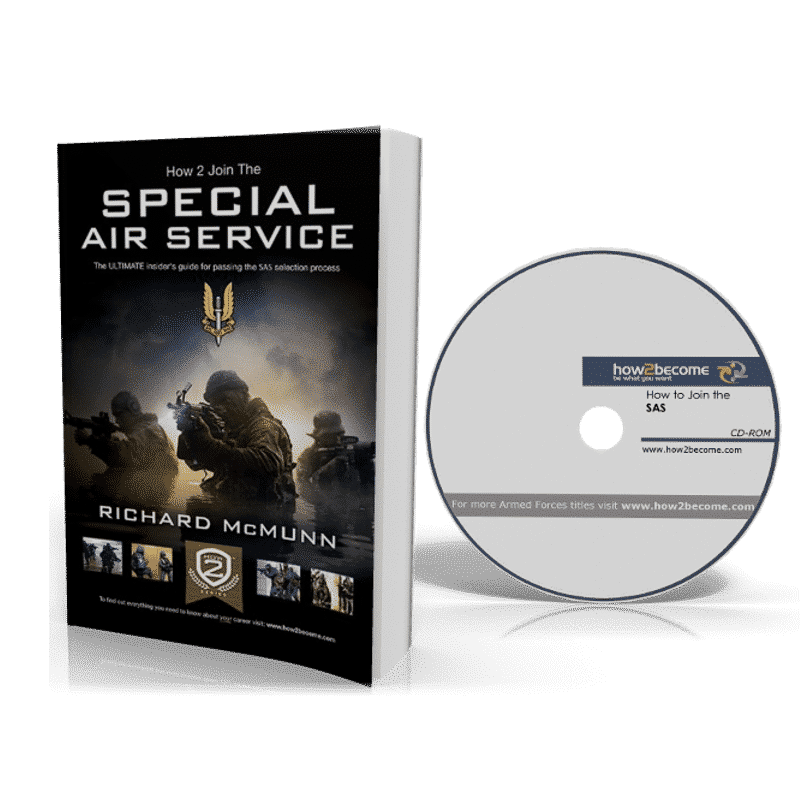 Whether you are applying to join the SAS or you are simply interested in how they operate and their selection process, this powerful 120-page insider’s guide and SAS fitness CD ROM will tell you everything you need to know. 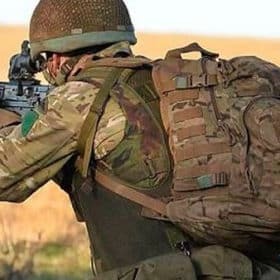 The Special Air Service (SAS) is the British Army’s most renowned Special Forces unit. From the moment several black-clad ﬁgures appeared on the balconies of the Iranian Embassy in London in 1980, interest in the SAS intensiﬁed. Their motto, ‘Who Dares Wins’, has become part of British popular culture. The selection process for joining the SAS is extremely tough. It is not about brute strength or having the ability to kill without fear; but instead it is about extreme mental focus, an in-depth desire to join, and an unbelievable level of physical ﬁtness. Desire is crucial if a soldier is going to have any chance of passing selection. For desire breeds conﬁdence, desire breeds intense preparation, and desire breeds focus. If you want something really badly, then you can have it. Anybody who puts themselves up for selection must have an in-depth desire to join the Regiment. 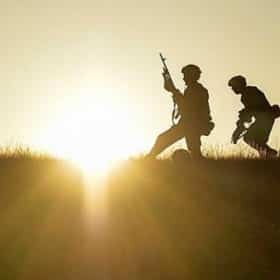 That in-depth desire should come from a passion for soldiering at the highest level and a passion for the level of responsibility that comes with such a role in the British Army. Yes, ﬁtness is extremely important, but desire outweighs it. What a great motto. If you are brave enough to try, then you will succeed. There is no ‘can’t do’ in the Regiment. 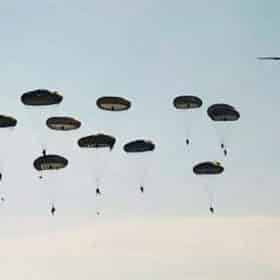 There is always a way to do something and there are always soldiers who are up for the challenge. The sword, which represents Excalibur (the legendary sword of King Arthur). Two upswept pale blue feathered wings, which are supported by red centres. At the lower end of the blade is a black scrolled ribbon, which bears the SAS motto ‘Who dares wins’. This is in the same colour as the feathered wings. All of the above are located on a black cloth background, which is attached to the beige beret. 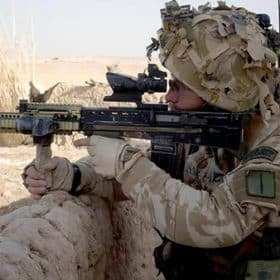 SAS Selection starts back at a soldier’s own regiment, where he must request through his NCO that he would like to be put forward for selection. The initial phase of selection is for the soldier to attend a Special Forces Brieﬁng Course (SFBC). The SFBC runs twice a year, usually over a weekend period. The course is designed to give those candidates who wish to go through selection the chance to taste what life in the SAS is all about. It also gives the SAS the chance to see if they like you. The weekend SFBC course usually starts on a Friday evening when candidates arrive at the SAS base, Sterling Lines, in Hereford. During the SFBC you will be given a number of brieﬁngs and presentations that are designed to show you what the SAS is all about. It will also give you an indication as to what to expect during the tough selection process. On the ﬁrst evening of the course you will undergo a series of tests that include map reading, map memory test, ﬁrst aid test, general military knowledge test and an IQ test. The type of physical tests that you will undertake during the SFBC will not be too difﬁcult although a number of people do surprisingly fail them. Before you undertake the SFBC make sure you can reach at least level 14 on the Bleep Test, you can swim 100 metres fully clothed in under 3 minutes, and that you can tread water for 15 minutes. You will also be required to pass the standard Army Basic Fitness Test (BFT), which shouldn’t be a problem for any soldier who is on the course. In addition to the BFT you will also be required to pass a Combat Fitness Test, which involves a 2-mile run in 18 minutes and an 8-mile run in 1 hour 40 minutes. Make sure you can pass these with ease. 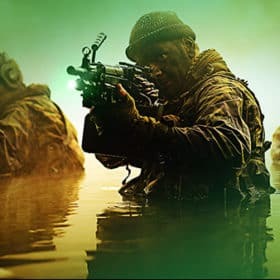 This comprehensive 120-page guide will tell you everything you need to know about the SAS selection, how to prepare for it, the weapons they use, their tactics and how to pass the gruelling selection process. 120 pages of vital SAS information. Special Air Service Mountain Troop. Escape and Evasion (the toughest stage of selection). During the ﬁrst week of the SAS selection process comes the infamous Fan Dance. The Fan Dance is where each of the remaining soldiers has to climb and then descend the dreaded 3,000ft Pen-y-Fan Mountain without stopping within 4 hours. Whilst carrying out this arduous task they are also required to carry with them a 40lb Bergen and riﬂe. What makes this task so difﬁcult is that they are on their own with no assistance or encouragement. The SAS will not abandon the task because of torrential rain, sleet or snow. The task must be carried out and completed within a set time-frame regardless of the conditions. To complete this successfully takes a very special type of person. Not only is it physically unbearable, but the mental fatigue on a candidate’s mind is something they will have never experienced before. Whether you are applying to join the SAS or you are simply interested in how they operate and their selection process, this powerful 120-page insider’s guide and SAS fitness CD ROM will tell you everything you need to know. Revealed for the first time this book also contains information relating to interrogation techniques used by the SAS during selection! How to prepare for the elements and how to dress on the hills.